Rethink. Unify. Innovate. Deliver. These four core pillars of the Customer Experience Management integral to creating great customer experience. 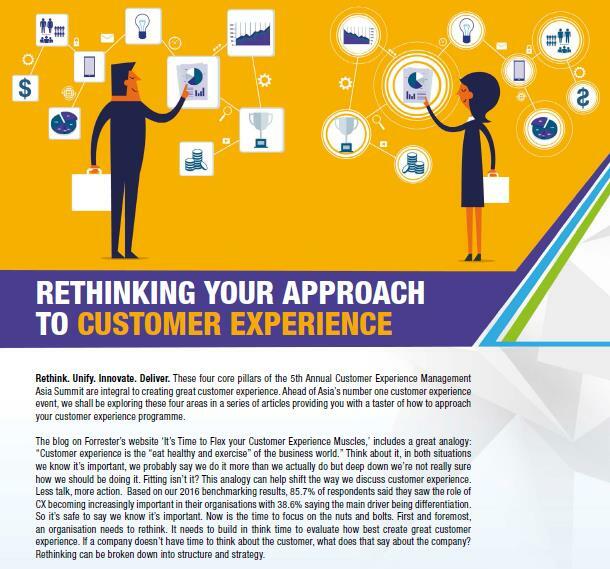 Ahead of China’s #1 customer experience event, we shall be exploring these four areas in a series of articles providing you with a taster of how to approach your customer experience programme.